Fans of Witcher 3 developer CD Projekt Red (CDPR) may be pleased to hear that the studio's next RPG is just around the corner. We're not, however, referring to Cyberpunk 2077. Instead, we're discussing Thronebreaker, the fully-fledged, 30-hour "Witcher Tale" that began as a spin-off of Gwent, CDPR's standalone card combat title. Now, the game is a fleshed out RPG in its own right, if CDPR's marketing is to be believed. We've covered the game a few times in the past, but today we have a treat for the studio's long-time fans: 37 minutes of Thronebreaker gameplay, starring main character Queen Meve and her allies. If you've followed CDPR's games for a while, you probably know about what to expect here. 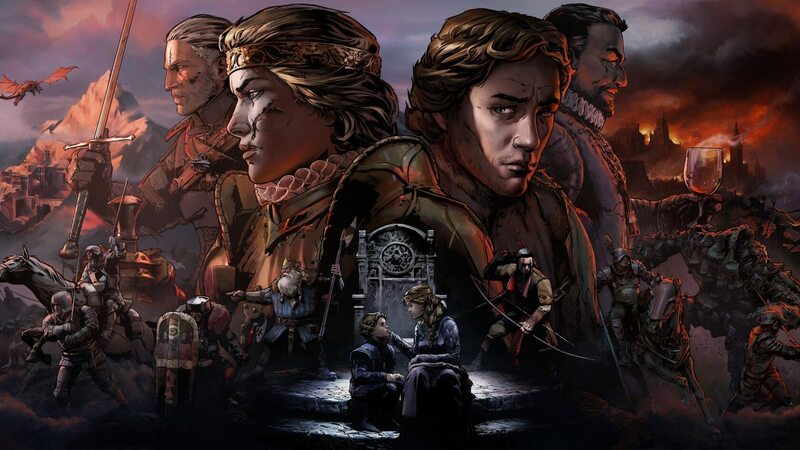 While it's not a fully-3D, open world game like the Witcher 3, Thronebreaker still places emphasis on choice and consequence, story, and quality voice acting. The gameplay video itself is a walkthrough, with a CDPR community manager talking us through the game's various features. For starters, Thronebreaker houses an overworld map which seems to let players explore, encounter side quests, and harvest materials. However, instead of classic Witcher battles where players hack and slash their way to victory, Thronebreaker forces players to duke it out with their enemies via intense-looking matches of Gwent. Although the Gwent battlefields have a fresh coat of paint, mechanically speaking, they seem to function about how they always have: one side tries to overpower the strength of the enemy's forces without running out of cards. There is a twist, though, as players now seem to have the option to command Meve to attack cards directly, rather than play a game of attrition. Outside of Gwent, as previously mentioned, Thronebreaker seems to focus heavily on choice and consequence. For example, after successfully beating back a Nilfgaardian siege, Queen Meve is informed by one of her advisors that the city's peasants may starve after the city's grain stores went up in smoke during the battle. The player is given a choice to keep the gold for themselves, hoarding it for their army's growth, or sacrifice it for the citizens to prevent hunger and famine from ruling supreme. For demo purposes, CDPR chose to give the gold to the city folk. The demo presenter suggests that, in true CDPR fashion, players may feel the consequences of that decision later; be they positive or negative. Towards the end of the demo, CDPR showed off a monster hunt, which took the form of a Gwent battle with unique, puzzle-like mechanics for players to overcome. This time around, it was a Manticore, made up of six different cards, each representing a different body part. To defeat the beast, Meve and her army needed to destroy its head. While this was a mere summary of the gameplay for those a little more pressed for time, you can view the full demo for yourself above, or head on over to CDPR's official Witcher YouTube channel. If Thronebreaker sounds like your cup of tea, you can pick pre-order the game now exclusively on Good Old Games for $29.99.